Getting Life Insurance On Someone Else – Everything You Need to Know! No matter who they are, where they come from, or how big the gap between them is, most people will agree on one thing; life is entirely unpredictable. One moment it’s all sunshine and rainbow while the next moment it is in darkness, tears and a whole load of chaos. That is why even if people have significant differences between them, they will agree that a life insurance policy will help them tackle the turmoil and problems thrown their way on this journey of life. Fortunately, we live in an era where life insurance has become so much more flexible unlike in the past where the choices of customers were limited. Today, those seeking to acquire one are spoiled for choice as there are myriads of plans which they can choose from. Nevertheless, some people are yet to understand how taking a cover for someone else works. Like do they just wake up and decide today I’m going to take an insurance cover for my neighbor or maybe my long distant cousin? Or are there any limitations when it comes to people you can insure? 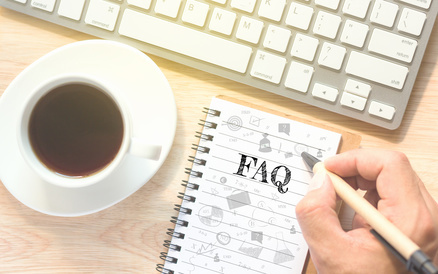 If you are among individuals asking such questions, then stress no more because we are about to address them and more concerning whether you can take life insurance on someone else. Can I buy life insurance on someone else? The short answer to that question is yes, you can. However, the long answer to that is that there are guidelines or terms which must be followed for that to be possible. There are several insurance policies, and one that applies directly to a life insurance plan is the policy of insurable interest. It means that for you to take out an insurance cover for someone else, you must have some relationship such that if they die they would cause you financial loss. Most companies offering these plans usually consider your immediate family, for instance, siblings or spouse as people you have an insurable interest on. Click here to get free quotes and compare rate online. Therefore, it means that you cannot just wake up and decide today I’m going to take a life insurance cover for my neighbor or any other random person. These measures are put in place to stop people with malicious motives from taking such plans just for the compensation. For instance, if that were possible, some people would be insuring others and then later hurt them so they can benefit from the settlement. Hence for you to get a life insurance cover for someone else, you must have an insurable interest. Again, different rules and procedures apply depending on the family member you want to cover that is why we seek to enlighten you even more by laying them down. When it comes to your parents, you have an insurable interest because if anything happens to them, then the financial burden comes down to you. For instance the funeral expenses, the mortgage which they had not fully paid or any other debts. As such you are allowed to take a cover for them. Nevertheless, it is essential to understand that life insurance for your parents can be more expensive than the regular one. That is because they are at a higher risk of getting chronic conditions and illnesses than younger people. You also have an insurable interest in your children and what is even better is that you are allowed to take a cover for them without their consent. Reason being they are still minors and they do not know much about insurance plans. Additionally, if anything happens to them, it will not only strain you financially but also emotionally. Thus the primary aim of a children’s insurance cover is to offer them financial protection in case anything happens to you and also in case they fall sick. In addition, taking a policy for your children will cushion you financially because in case of a terminal illness or death everything is covered. A joint cover where you and your other half are under the same plan and share the same benefit. It is often cheaper and better if your insurance needs are similar. A single cover where you have separate plans. It is suitable if your insurance needs differ. Additionally, if you happen to divorce a single cover makes things much easier in comparison to a joint one. However, it is much more expensive. You are also allowed to take a cover for your siblings. You can do so because, their death or illness will cause you financial loss thanks to the burial expenses, hospital bills and also if anything happens to them and they have kids, then that may be on you. Which is why, you are allowed to take an insurance cover for them. Now that you know where your limits lie, the only question remaining is whether you can get them a cover without their knowledge. The answer to that depends on the laws and regulations of a country and also on specific categories. For instance, in the US, a person is allowed to take a cover without consent only; if the individual they are seeking to insure is a minor, mainly, if it’s their child or if they are the guardian of the minor. For instance, a grandparent left in custody of their grandchildren after the parent died can be allowed to insure the minor so they can ensure that the child’s future is secured if they happen to die or also if the child falls sick. Unfortunately, the rules change when it comes to the other family members whom you have an insurable interest on. 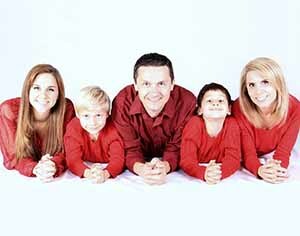 Hence you cannot get life insurance on a parent without their consent and below are a few reasons why. It is against the law as other people may take the cover with a motive to kill the insured and receive the benefits. Thus it is a measure to curb malicious purposes and also prevent fraudulent activities. It is possible to get life insurance for family members because you have an insurable interest in them. Nonetheless not all of them and just the close ones like siblings, children and your spouse. Thus if you want to get a cover for your great Uncle Robert whom you haven’t seen since you eighteenth birthday, you will not be allowed. Additionally, you must obtain their consent, and that can be proved by their signature. However, there are a few exceptions such as the ones above. Thus, in a nutshell, it is possible to take out life insurance on someone else only if they give you their consent and if you have an insurable interest. Save On Quotes – No Obligation! Click To Get Multiple Free Quotes Now. Burial & Funeral Insurance Free Quotes Copyright © 2019.